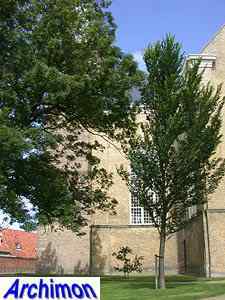 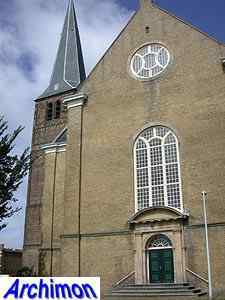 The reformed Great Church of Harlingen is the successor of the Romanesque St. Michaël, which itself was the successor of the first church in the province which was founded in the year 777. 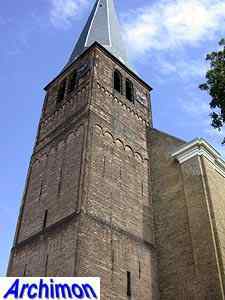 The Romanesque church was built in ca. 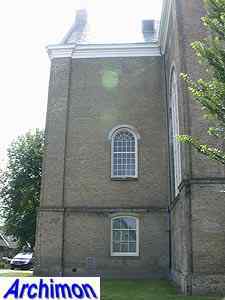 1200 and was replaced by the current building in 1772-1775. 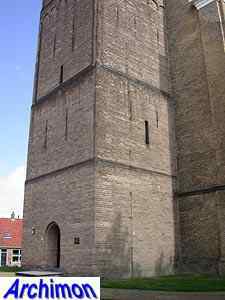 Only the Romanesque tower, built in ca. 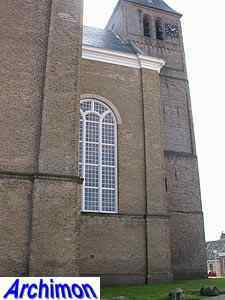 1200 and heightened in the 15th century, was saved. 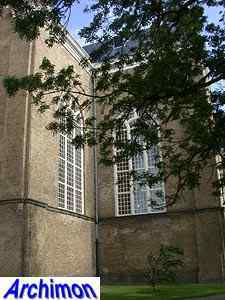 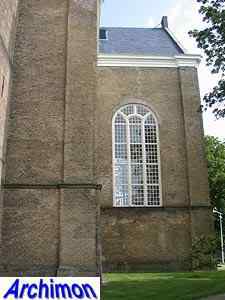 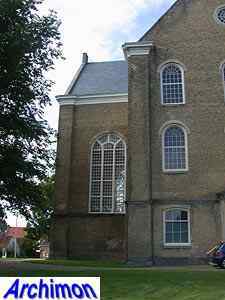 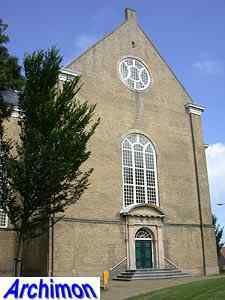 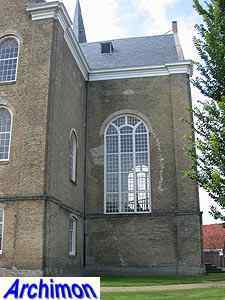 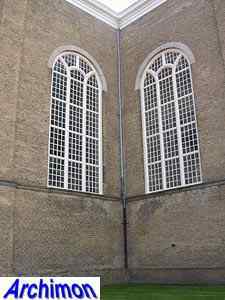 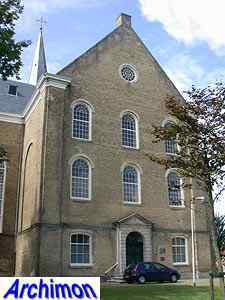 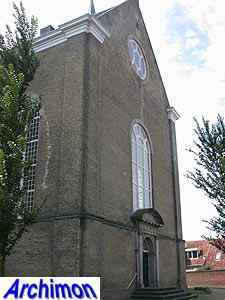 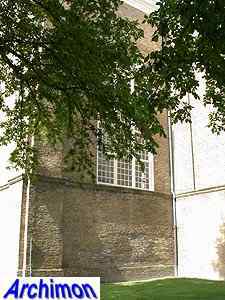 The new church was designed in Classical style by Willem Douwes. 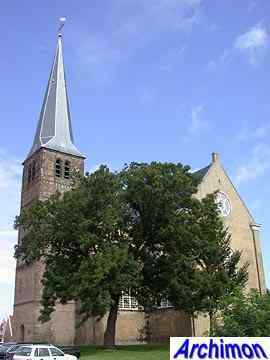 The cruciform ground-plan, in the shape of a Greek Cross, is typical for many protestant churches built after the Reformation. 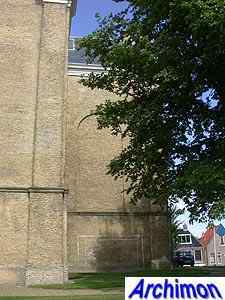 Three arms of the cross form the actual church, while the eastern arm is seperated from the rest by a wall and serves as a consistory.